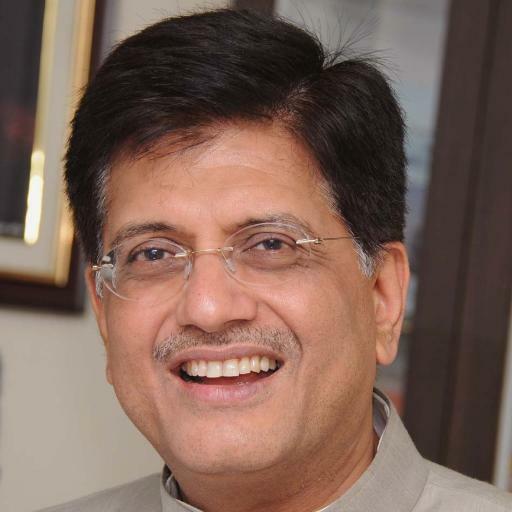 India expects to woo Rs.1 trillion ($15 billion) of investment over five years to double mining output and cut mineral imports.The government’s goal is to fast-track exploration, including upfront payments for discovered deposits when the mines are auctioned, mines minister Piyush Goyal said.The administration will invite foreign companies to participate, he said, while acknowledging challenges such as land acquisition and environmental hurdles. “We’re working to change the rules of the game from doing small amounts of exploration in an incremental fashion to doing it on a fast-track, one-shot, big-picture way,” Goyal, 52, said. There’s “easily” scope to pourRs.50 billion into the search for deposits, he said. The world’s fastest-growing major economy will need increasing supplies of everything from iron ore to coal to achieve Prime Minister Narendra Modi’s objective of faster development powered by more manufacturing. Rio Tinto Group and steel maker Posco are among foreign companies that have put Indian plans on hold because of red tape and difficulties in acquiring land, an indication of the challenges Goyal’s agenda faces.India in 2015 embraced competitive auctions as the best long-term approach to resource allocation after bruising corruption scandals over discretionary or free allotments. The nation auctions exploration and mining rights. Officials earlier had worked out a policy of paying explorers a royalty over the life of a mine, rather than upfront, after critics said there wasn’t enough incentive for companies to scour for minerals. Goyal, who is energy minister and added mining to his portfolio when Modi reshuffled his Cabinet in July, said mineral exploration in India is “nascent.” He recommended that overseas explorers and miners consider ventures with local partners and install largely Indian management to increase their chances of success in the $2 trillion economy. The minister said he’s assessing the minerals being imported by India to focus the country’s exploration efforts. Imports of iron ore, for instance, may amount to about 10 million tonnes in 2016, according to the CRU Group, a commodities researcher. Environmentalists have resisted an effort by Vedanta Ltd to mine the mineral at Niyamgiri in the eastern state of Odisha. Only about 13% of 575,000 square kilometers with geological potential in India has been explored in detail so far, with minimal private-sector involvement, according to the Federation of Indian Mineral Industries. “It doesn’t make sense to import what we already have in our country,” said Seshagiri Rao, joint managing director at Mumbai-based JSW Steel Ltd. “Raising domestic output will put pressure on prices of the commodity and make it more affordable for users.” Rio Tinto Group said its shutting a top-class diamond deposit in India more than a decade after its discovery as part of cost cutting. Delays in green permits stymied development of the project. The company subsequently said it will seek to source services and equipment from the South Asian nation, and offered voluntary severance to 300 employees. One of India’s priorities is to attract the top technology used by overseas companies, Goyal said. The administration will respect the environment, he said.